Well, if you ask me, eating the wrong types of harmful fats is even worse for your body than sugar. Let's start at the beginning and look at why these man-made processed oils that cause so much damage to our bodies became so commonly consumed by Americans. Historically, humans never consumed anything remotely close to the toxic vegetable oils we have today. Cotton seed oil was one of the first vegetable oils on the scene. It was a byproduct from the cotton industry and was mainly used as a lubricant for factory equipment. Creating these vegetable oils involves using hydraulic press equipment to squeeze out the oil, and what comes out is not pretty. The oil comes out as a rancid, foul smelling grey liquid. Proctor and gamble were first on the scene of these industrial oils and once they create this process to stabilize it, they decided to sell the oils in soap products. They soon realized that this product looked similar to lard (pork fat). So, they decided to sell it as edible fat and called it Crisco. This was the introduction of vegetable oils into the food supply. Proctor and Gamble did an amazing job of advertising Crisco, effectively replacing butter and lard in most American homes. Then came Margarine, which is made of hydrogenated vegetable oils. Margarine and Crisco are the main ways these harmful oils entered our food supply. This absurd, inaccurate claim paved the way for these toxic vegetable oils to take the main stage and push the healthy fats (butter, lard, coconut oil, etc.) off the menu. What really help Proctor and Gamble convince Americans that Crisco was a health food was paying the American Heart Association a very large check to expand their organization and promote their vegetable oil based products. The best book I've ever read on fats and oils is The Big Fat Surprise: Why Butter, Meat and Cheese Belong in a Healthy Diet Full Disclosure: We earn a commission if you click this link and make a purchase, at no additional cost to you. written by Nina Teicholz who explains this topic in great detail. “Vegetable oil” is a very misleading term for these oils since people associate vegetables with health. Keep in mind, It’s not like their pressing vegetable oil from brussel sprouts or kale! These oils come from seeds and beans. 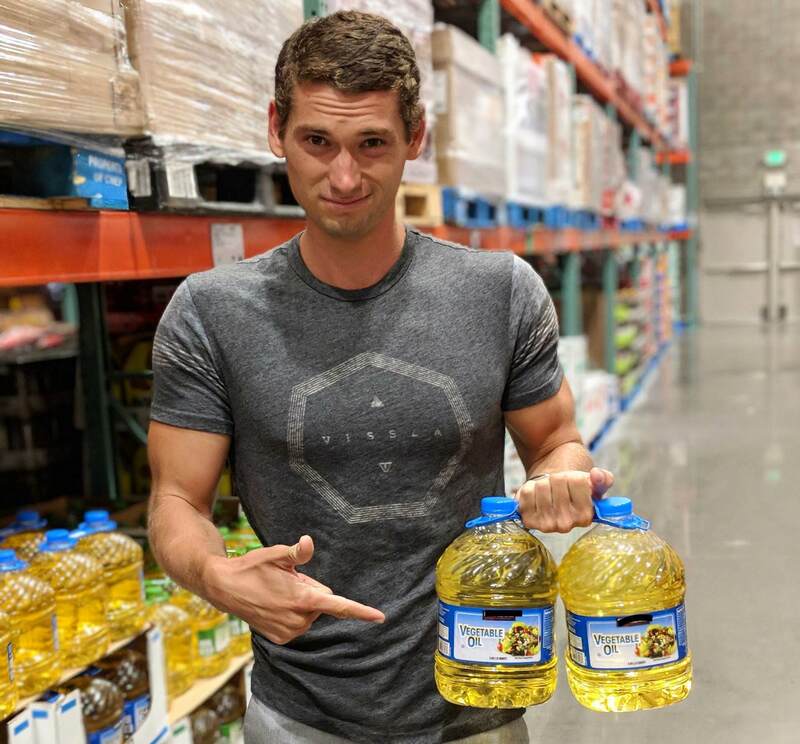 The product labeled “Vegetable oil” is the king of unhealthy oils since it's a combination of cheap, toxic oils like cottonseed, canola, soybean, corn, etc. that they combine together to put out this cheap garbage. The consumption of these oils have increased substantially. While all vegetable oils should be avoided, cottonseed oil may be the worst of all when it comes to chemical pesticide residues. Since cotton is not considered an edible food crop, the growers are legally allowed to use numerous chemicals (pesticides, herbicides, insecticides, etc.) that are so toxic they are not permitted to spray them on edible food crops. "Keep in mind, It’s not like their pressing vegetable oil from brussel sprouts or kale! These oils come from seeds and beans." Consumption of vegetable oils can have serious short and long term repercussions to your health. 2. Can Cause Chronic Inflammation. These vegetable oils are polyunsaturated fats high in omega-6 fats. Americans in general consume far too many omega-6 fats, and not nearly enough omega-3 fats. The key to optimizing your omega-3 and omega-6 fatty acids is balance. Most experts believe that an ideal ratio of omega-6 to omega-3 fats is somewhere around 4:1 or less, with some folks stating that a ratio of 2:1 or even 1:1 would be ideal. The standard American eats a ratio between 12:1 to 25:1! Clearly people are over consuming omega-6 fats while skipping out on their omega 3’s! This imbalance of omega-6 oils cause chronic inflammation which can result in numerous health issues. 3) Majority of Vegetable Oils Are Genetically Modified and Contain Chemical Pesticide residue. The problems with genetically modified foods and conventionally grown crops sprayed with pesticides are wide ranging. When exposed to high-heat, these vegetable oils become even worse! Since these fats are highly unstable, when used for cooking they create oxidation byproducts that are known carcinogens such as aldehydes. When food is fried in these vegetable oils, hundreds of toxic oxidation byproducts are created. Ever since restaurants started using these vegetable oils, they are having an incredibly difficult time cleaning their equipment and cooking areas. The oils would create this gooey, sticky mess that would get on the walls, clog up the drains, and cause horrible stains to the workers clothes. Scientists had to invent a strong chemical cleaner in order to get all this gooey vegetable oil mess off of these food establishments. These oils are so unstable that when they would load the dirty uniforms into the backs of trucks, the uniforms would spontaneously combust! They would even explode in the dryer! 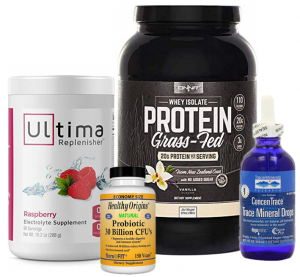 Millions of people are putting this garbage into their bodies everyday! Always aim for naturally occurring fats that have been consumed by our ancestors and stood the test of time. You can find a full list of heathy fats here. It's extremely important to avoid processed foods, fast food, and most restaurant food since they all tend to use one or more of the harmful fats mentioned above. Trans Fats are partially hydrogenated oils where they take the oil and heat it with a catalyst to combine hydrogen into it. As covered previously, many vegetable oils are high-processed and harmful to our health, but that doesn’t mean they are hydrogenated. The hydrogenation process to vegetable oils makes them even worse for our bodies! Trans fats should absolutely be avoided! Vegetable oils are highly processed, rancid, inflammatory fats that should be avoided. The problem is that these harmful vegetable oils are found most places. The vast majority of processed food contains soybean oil or one of the other various vegetable oils and should be avoided! Virtually every restaurant that serves fried food is using these vegetable oils that contain toxic oxidation byproducts. Anytime I eat out, I always request my food is cooked in butter and let the staff know the vegetable oils will cause serious harm to my body so I need to avoid them entirely. Check out our article on The Healthiest Fats and Oils to learn more about which are the best options to consume.